Instead of going straight home from work, last night, I took a detour into the Leisure Park (formally known as Wally World, but it’s been revamped and is a great improvement) at Hemel Hempstead, where I met up with the current Mrs Masher. We went to the pictures. 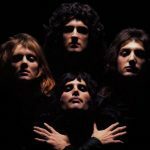 We saw the Queen/Freddie Mercury biopic, Bohemian Rhapsody. Wow! I loved every minute of it. Great film. And it was quite possibly the cinema audience with the highest average age, that we have ever sat in. After that, we nipped over to Nando’s… which was a peri-peri good idea, as the place was half empty and we got fed very quickly indeed. 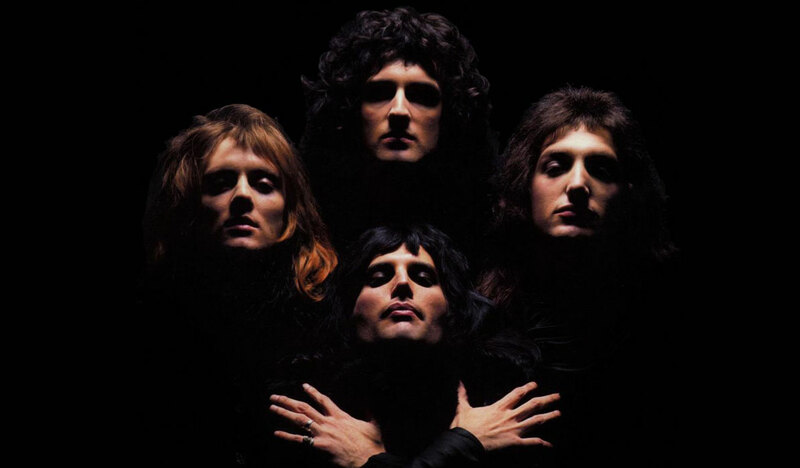 A speedy drive home up the M1 was made even quicker, by the fact that I had Bohemian Rhapsody turned up to 11. “BISMILLAH NO!” I shouted at the wife as I shot past her, breaking the speed limit ever so slightly. Back home, the kids had already gone to bed, and so we settled in front of the telly for half an hour, to watch one of the funniest episodes yet of our current favourite comedy: Cuckoo, before hitting the sack. As Thursday’s go, it was most excellent. 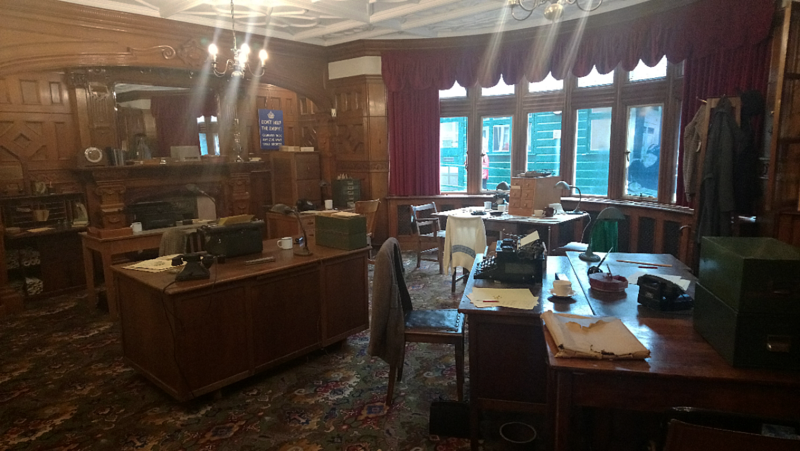 Yesterday morning found me back at Bletchley Park. This time – having looked around the Cyber Security exhibit first and finding myself feeling pretty non-plussed about it all – I wandered over to Hut 12, which housed a James Bond exhibition. Being a big Bond fan, I had high hopes for this, but they were ultimately dashed once I stepped inside. The exhibition was – in the main – a load of paintings hung on the walls, each with a Bond connection. For some, that connection was vague, to say the least. Far more interesting (to me, at least) was a couple of glass cases, that housed original letters typed and signed by Ian Fleming to the high-ups at Bletchley Park. As Personal Assistant to the Director of Naval Intelligence, Fleming had a high security clearance, giving him access to many high level reports in his role to find ways of intercepting enemy coding materials. He even contrived a scheme to get hold of Enigma paperwork, by disguising a British aircrew as Germans and then crashing them into the Atlantic in a captured German bomber, to lure a German rescue ship. The crew would then overpower and kill their rescuers and capture the papers and/or an Enigma machine. Operation Ruthless – as it came to be called – never happened, due to a lack of suitable targets, but with that sort of cunning and imagination, it’s easy to see where the James Bond stories came from. After all that, I headed to Oxford, where I met up with some friends from work and we saw the sights did a pub crawl. I got back to my hotel in the early hours and slept like a log – well, I probably would have, if I didn’t have the bladder of a small child and the need to get up several times in the night! My head was thumping this morning, but a hearty breakfast and several mugs of tea later and I am as right as rain. Which is exactly what it’s been doing all day, so that means I can’t cut the grass, as planned. This morning, I visited the National Radio Centre in Bletchley Park. It was this: most excellent! By chance, I’d happened to pick a day when an event to celebrate the breaking of the Enigma code was taking place. An Amateur Radio station in Italy, was broadcasting messages in Morse code, that had been encrypted with the Enigma cipher and various stations around the world were trying to pick up these signals and decrypt them. 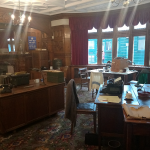 I – along with many others – watched with interest as the amateur radio operators received and decoded the Morse code, writing the 5-character blocks onto a replica form to that which was used in Bletchley Park during WW2. This was then handed to another chap, who was giving a superb presentation on the workings of a genuine Enigma machine that sat on a table before him. His audience was enthralled as he decoded the message letter by letter. Afterwards, I took a quick walk around the mansion house. It had changed a lot since I last visited it back in the eighties, when I worked for BT. Back then, we used it mainly for recreation, as I remember, but it has now been restored to it’s former glory. The picture above shows one of the downstairs rooms which – when we used to go there and if memory serves me correctly – housed a pool table. It now – as you can see – gives an accurate depiction of what it would have looked like in the 1940s. All too soon, my time ran out and I had to leave. But I’ll go back again soon. PS – still got that damned tune in my head! Occasionally, as I have mentioned here before, I will get a tune stuck in my head. An earworm, as some people call it. 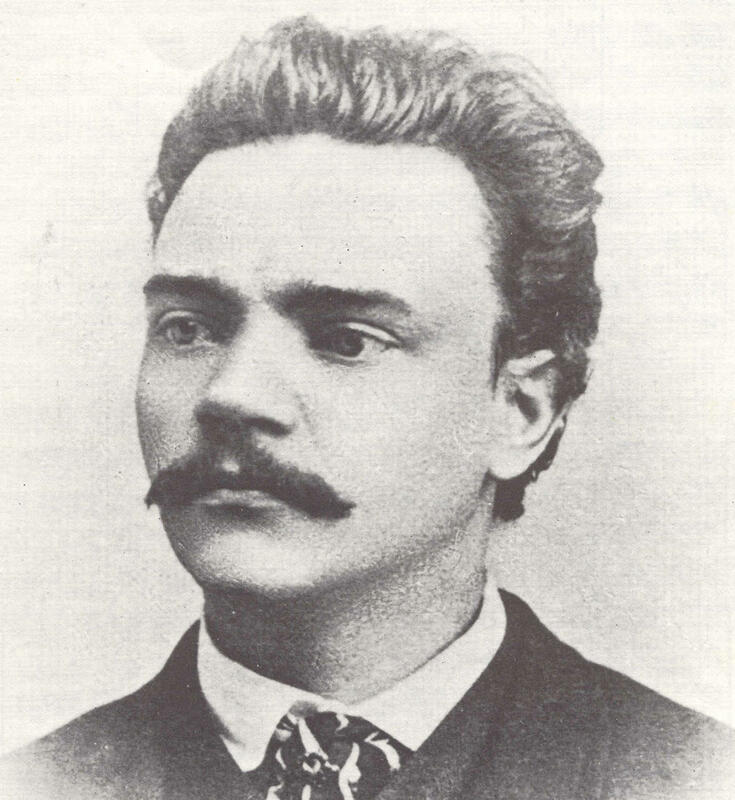 For a whole week – and even as I type – I have had Antonin Dvorak’s 9th Symphony stuck between my ears. Not ALL of it, of course, because it’s a bit lengthy, but bits of it. Bits out of ALL 4 movements. 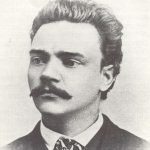 Now, I’m not averse to a bit of Dvorak and I’m sure that many would agree that his ninth symphony is well worth listening to. But, it’s been a week now, so it is starting to grate a little. And it doesn’t help that when my brain decides that it wants to listen to the 2nd movement, it also puts on a strong Yorkshire accent and adds the words “Eee, he were a great baker, our Grandad”. 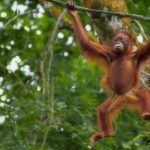 Last week, I went ape. We did a sort of team-build event at work, where about sixty of us descended on the Go Ape tree-top adventure park in Slough (other sites are available). Wearing our safety harnesses, we spent an enjoyable couple of hours clambering about a 30ft-high obstacle course, up in the trees. Many parts of the course had multiple routes that you could take: Easy, Difficult or Extreme, each ending with a long zip-wire finish. Of course, I always opted for the Extreme routes. However, I do sometimes forget that I’m not as fit and strong as once I was and several of the routes were quite… challenging. Still, not to be outdone by my younger colleagues, I tackled each one with gusto. One route in particular was really hard. Marked as “Extreme”, I suggested to staff afterwards that it should be re-classified as “Ridiculous”. Metal rings – only just big enough for me to get my size 12 plates into – hung from ropes, and the idea was to “walk” across, using the rings as stepping stones. Of course, they swung about wildly as you tried to do so. 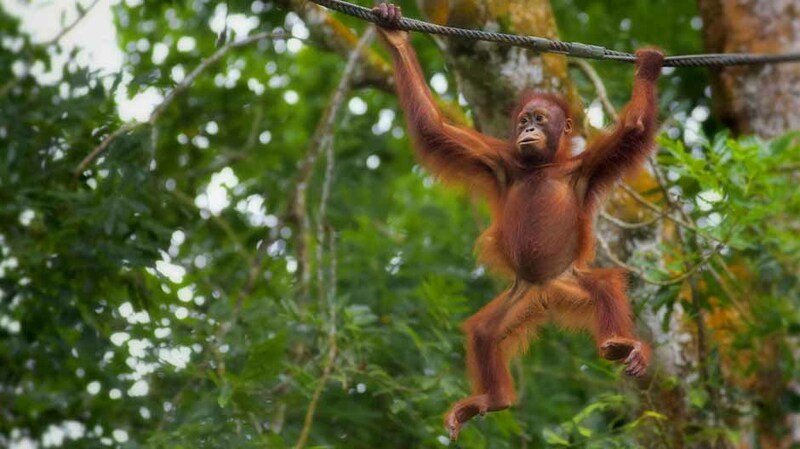 With a captive audience up in the trees with me – I played it for laughs: allowing the rings to swing apart causing me to do the splits; getting my feet stuck in the rings; spinning uncontrollably; whilst all the time shouting about it -“Ooohh; Help! Yikes!” etc. I kept it restrained just enough from going into the full Norman Wisdom, but that extra monkeying around really takes it out of you! The day was enormous fun and if you get a chance to have a go, I highly recommend that you do. And if you are anything like me, you’ll sleep like a log afterwards.